So much of what NASCAR is today can be credited to it’s roots; the local race tracks (dirt and paved) strewn across the South East United States. But these types of tracks are not unique to that portion of North America, there are tracks like those everywhere in North America and the rest of the world. NASCAR continues to be a leading force in the motorsports entertainment industry and it is because there are tracks like Eldora Speedway, Myrtle Beach Speedway, Langley Speedway, Toyota Speedway, Ohsweken Speedway and all the countless other tracks in-between that people like you and I go to each and every weekend to watch our local racing heroes. Without guys like Brad Herron driving at the grassroots level there would be no NASCAR. Period. It is the grassroots racer that holds up the top racing series like NASCAR, Indy and F1, not the other way around. It is at the grassroots level of racing that the top drivers of any series cut their teeth at before they get noticed by some big named team. It is also grassroots racing that the fans come from. 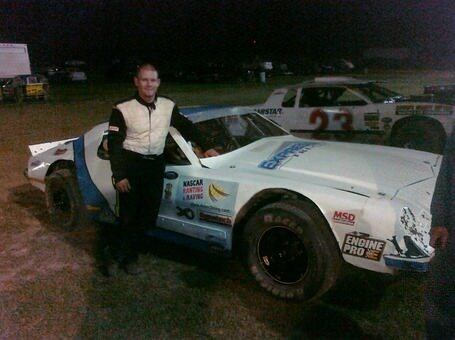 I was never interested in racing until I went and watched my neighbors; Mike, Harold, & Ding Dalou, race at Flamboro Speedway that I became hooked on racing – I didn’t even know what NASCAR was until I was older. We at NASCAR Ranting and Raving, as fans of racing, feel it is important to support our local tracks and drivers. 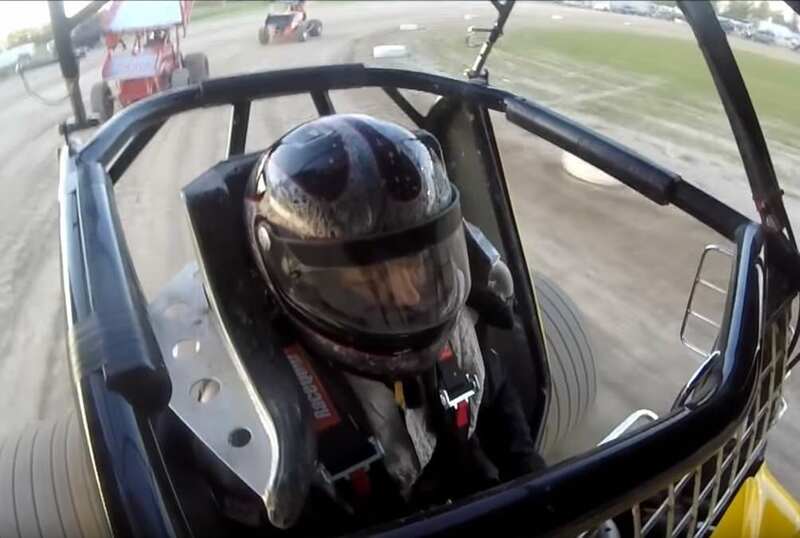 This is why we are supporting grassroots racer, Brad Herron in his bid to win the Thunder Stock Track Championship at Ohsweken Speedway this year. 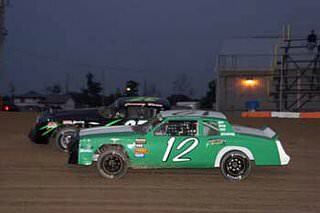 Thunder Stock driver Brad Herron stands beside his NASCAR Ranting and Raving/Expressway Truckssponsored #12 Camero. Credit: Bob Ellis (NASCAR Ranting and Raving). 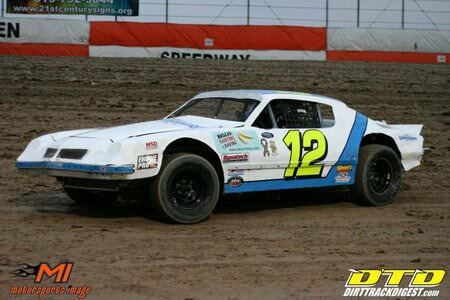 Brad is the driver of the NASCAR Ranting and Raving/Expressway Trucks #12 Camero. 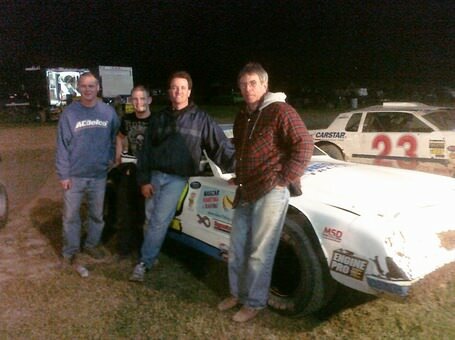 His crew consists of: Best Friend, Jeff Todd (Crew Chief), Brother, Dave Herron (crew member), and Father, Roger Herron (perveyor of common sense and crew member). These guys, along with Brad, are Herron Racing. Herron Racing is like any other grassroots team out there, made up of mostly family and friends who do it because they enjoy it and for nothing else – except for maybe a beer or two once the racing is done and the trailer is parked out back waiting to be unloaded in the morning. Herron Racing is: (from left to right) Crew Chief Jeff Todd, Driver Brad Herron,Crew Member Dave Herron, Crew Member Roger Herron. Credit: Bob Ellis (NASCAR Ranting and Raving). 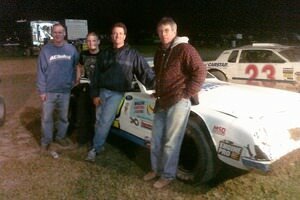 21.04.2013 4ever3 Comments Off on NASCAR RnR’s Grassroots Racing Team Update: Its roller-coaster time!